Apartment Arve is a high quality one-bedroom apartment located in a quiet residence a short walk from the town centre. The apartment is very bright with floor to ceiling windows framing a beautiful view of Mont Blanc, as well as being situated next to the River Arve. It is a very nice option for a couple looking for a bit of space, for a small family or for a group of friends. Situated right by the river Arve the apartment is also a great option for a summer holiday as it has a lovely balcony, from which you can overhear the sounds of the river nearby. Please note this is a non-smoking apartment. Please note no pets allowed. A quiet location, with stunning views over Mont Blanc Massif and the Bosson Glacier. A 10 minute walk from the centre of Chamonix, 2 minute from the nearest bus and train stop, 5 minute drive to the Brevent ski area. 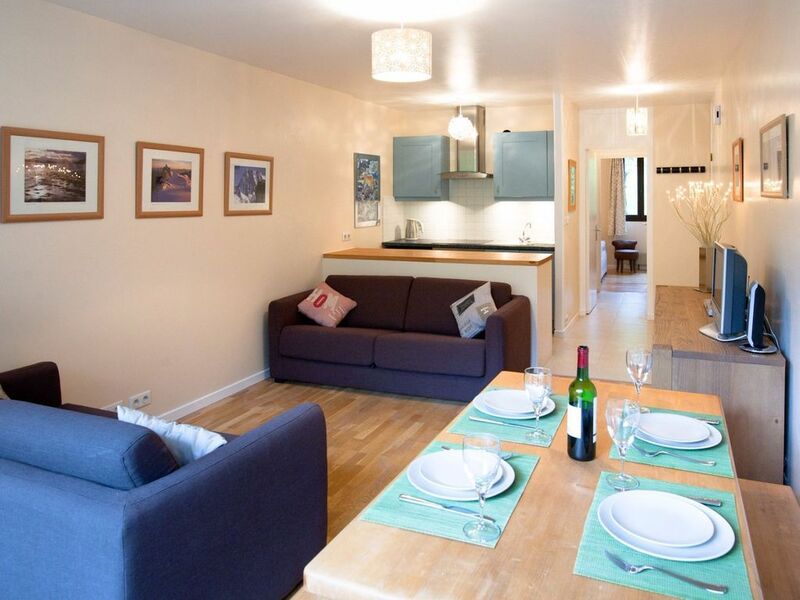 A high quality one-bedroom apartment boasting views of the River Arve and Mont Blanc.